… And She Gave Me A Zippo! 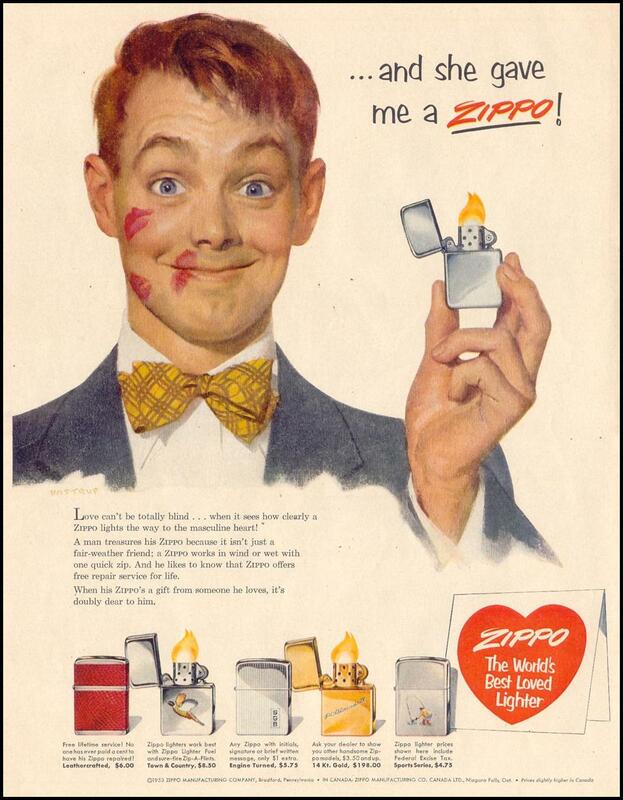 Love can’t be totally blind… when it sees how clearly a Zippo lights the way to the masculine heart! A man treasures his Zippo because it isn’t just a fair-weather friend; a Zippo works in wind or wet with one quick zip. And he likes to know that Zippo offers free repair service for life. When his Zippo’s a gift from someone he loves, it’s doubly dear to him.